Breakfast is the most important meal of the day! I think it’s the easiest meal time to get in a rut with. Some people skip it all together (shame, shame) and others like me get in the habit of eating the same foods every morning. 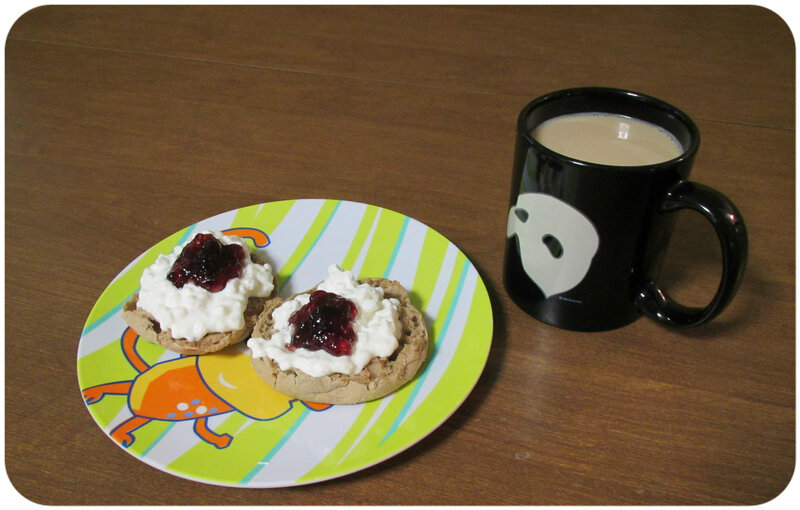 I have a morning routine; I want coffee and I want to eat directly after a great workout. Unfortunately early in the morning sometimes my brain isn’t turned on in creative mode yet! My breakfasts end up being the same boring meal over and over again: eggs and toast or instant oatmeal. 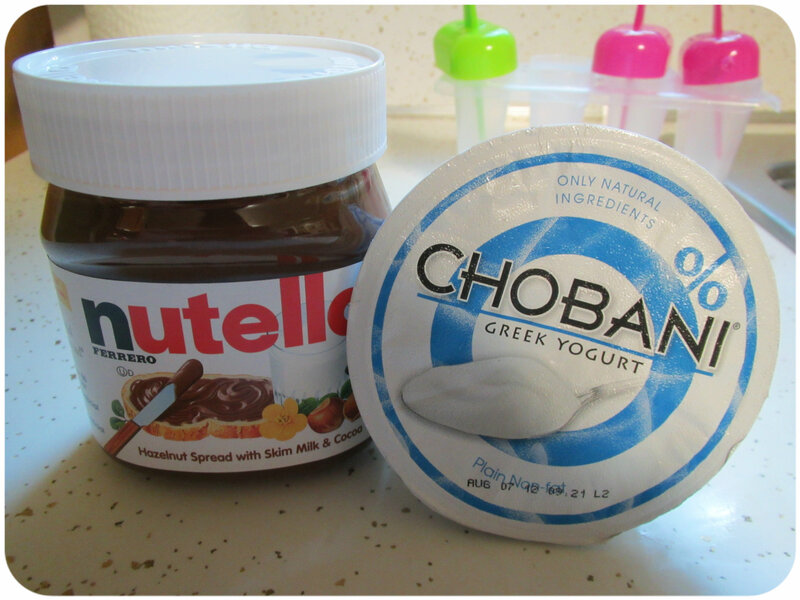 This morning I decided to break out of my current rut and really think about what I like for breakfast. My favorite breakfast foods are eggs and some level of heat (hot sauce, salsa,peppers). 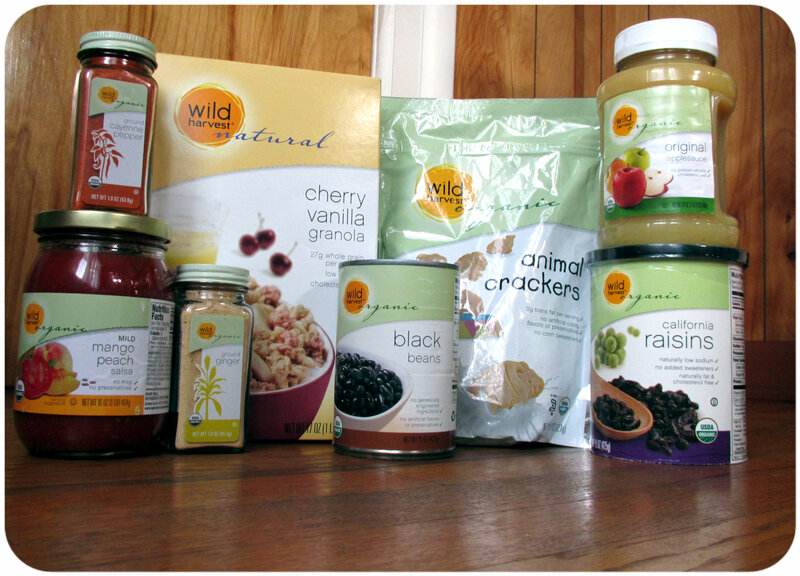 Luckily, WILD HARVEST sent me a whole box of yummy organic foods two weeks ago in my day of madness to try. 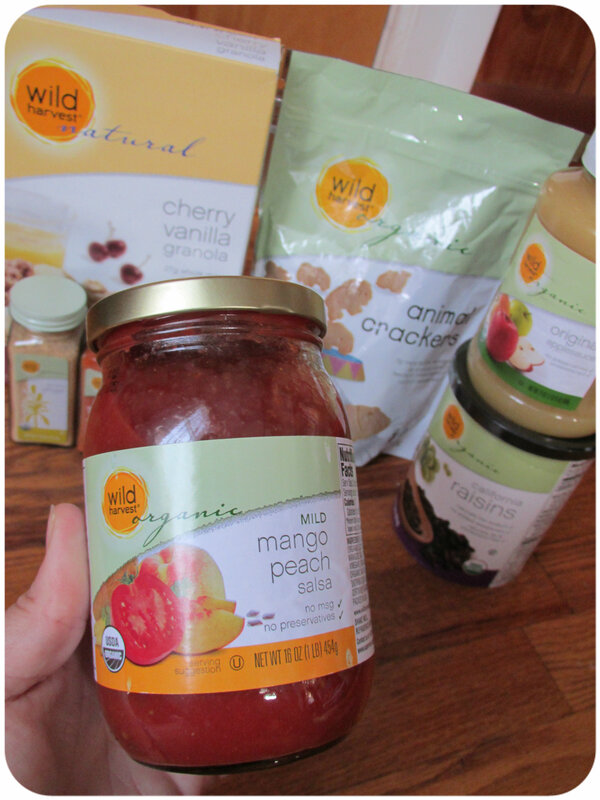 And I knew these products were the best place to start experimenting with breakfast ideas! 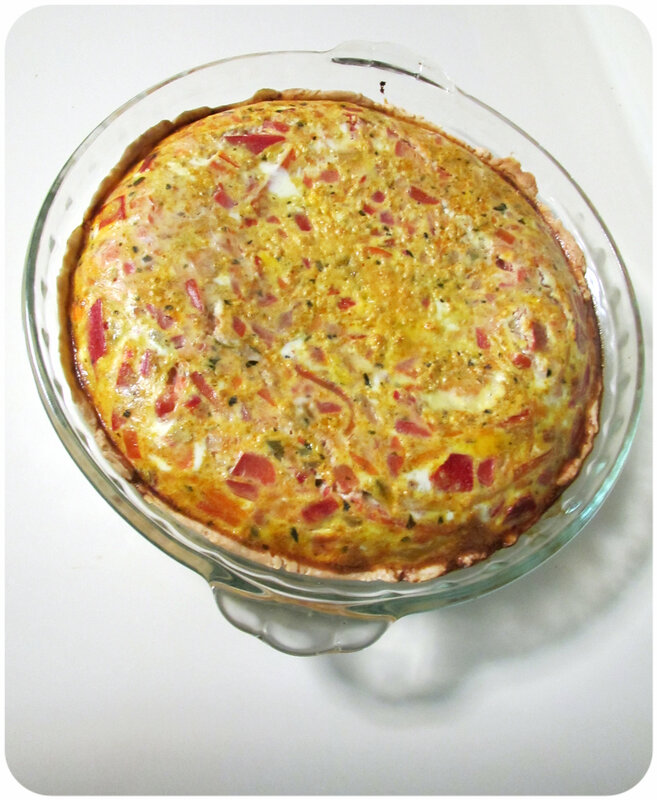 If you are looking for a fabulous morning breakfast after a tough workout this Southwestern Quick Quiche will not disappoint. – Combine the eggs, cream, salt, black pepper and cayenne pepper. 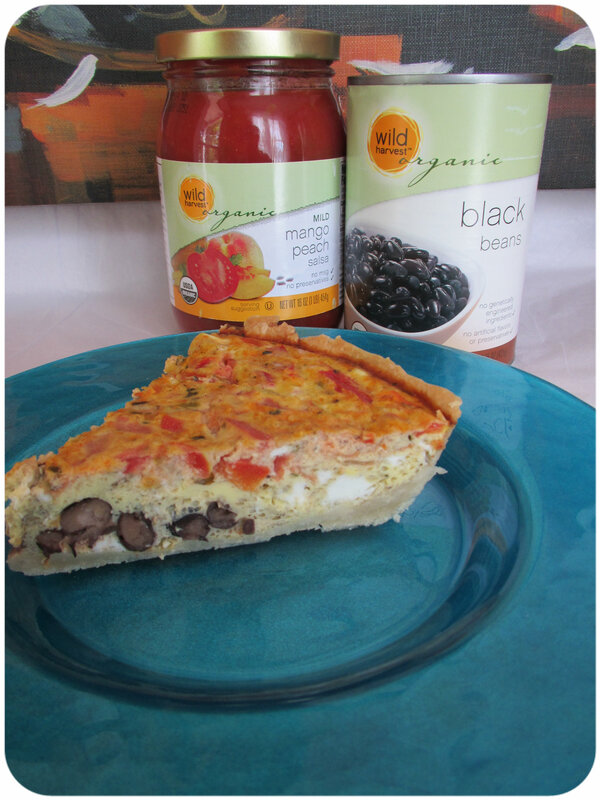 – Once mixed add in salsa, roasted red peppers, feta cheese and black beans, stir and pour into your pie plate. 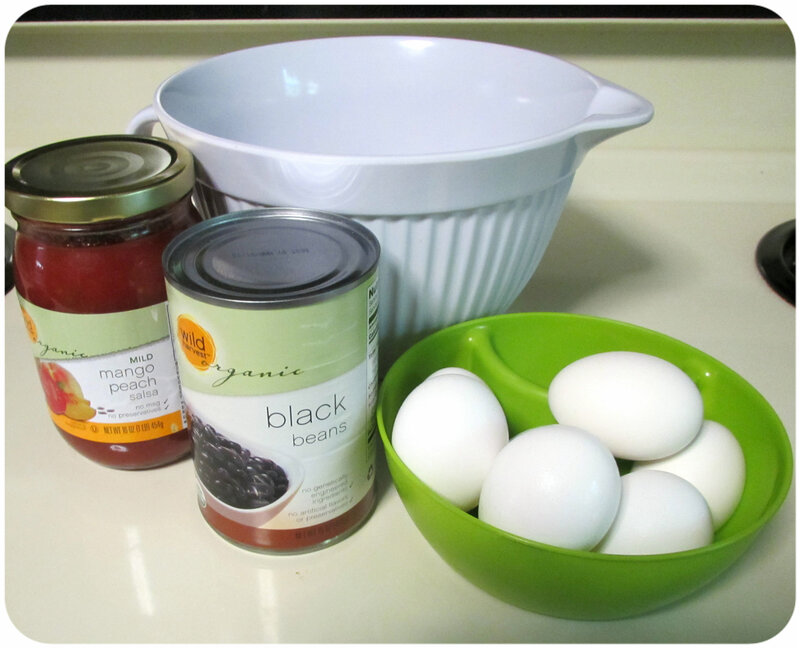 – Bake for 35 to 45 minutes until the egg mixture is set. Makes 8 servings. For my newer readers you may not know about my love of Salsa. I have self-control when it comes to salsa…! 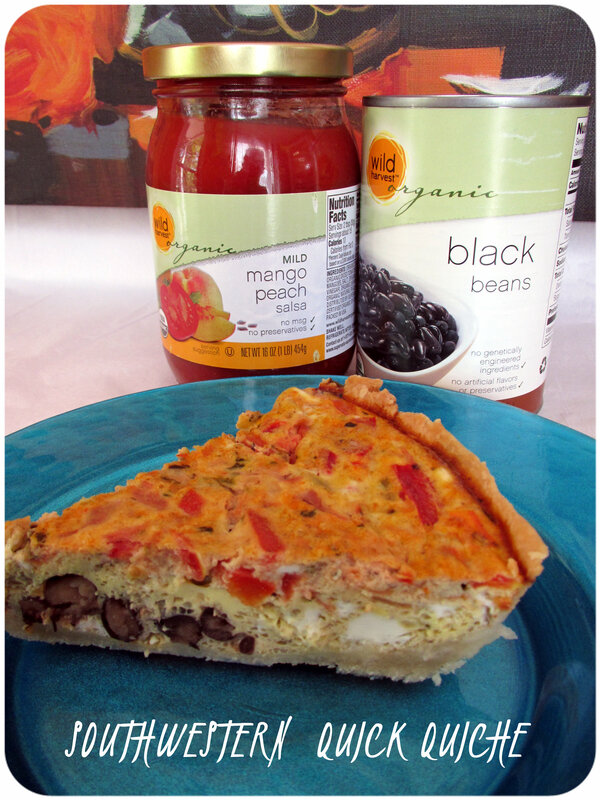 The WILD HARVEST Mango Peach Salsa is amazing….a sweet combination! 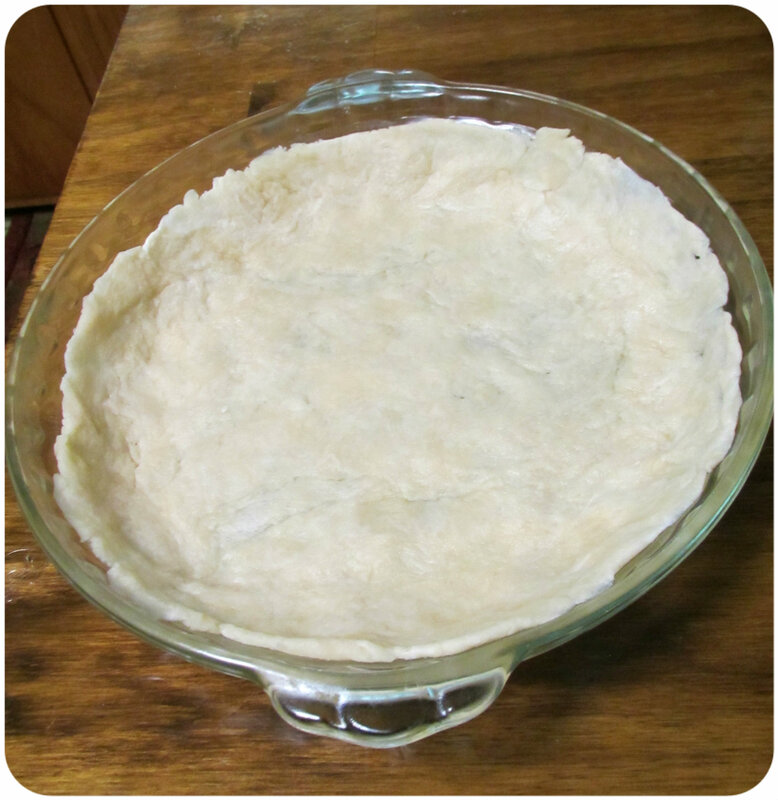 Want to make your own flaky crust rather than buying it from the store? Here is an extremely easy recipe. – In A large bowl mix salt and flour with a fork. – Press into a 9 inch pie pan. Lookin’ good… fresh out of the oven. For more information about any of the delicious WILD HARVEST products shown here click on the photo below for a link to their page! Today was a FULL rest day. 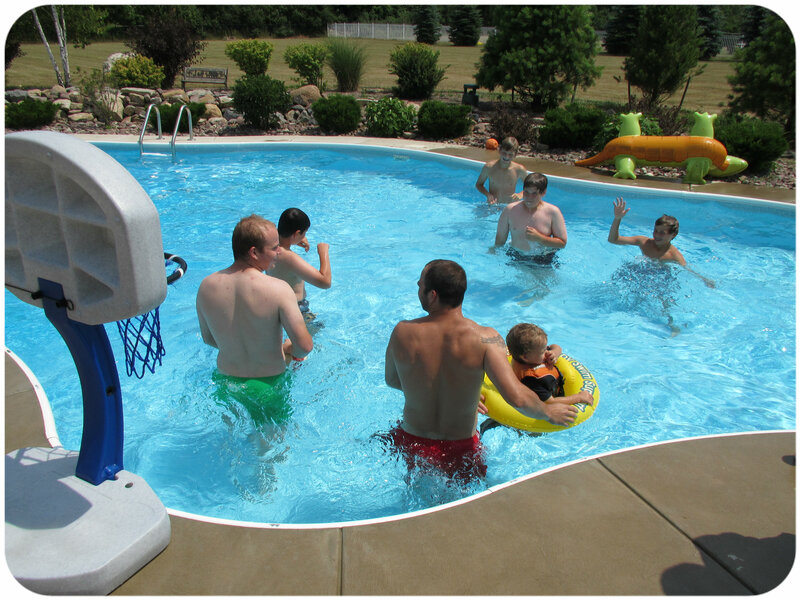 No workouts at all unless you count swimming in the pool for a few hours with my little man. 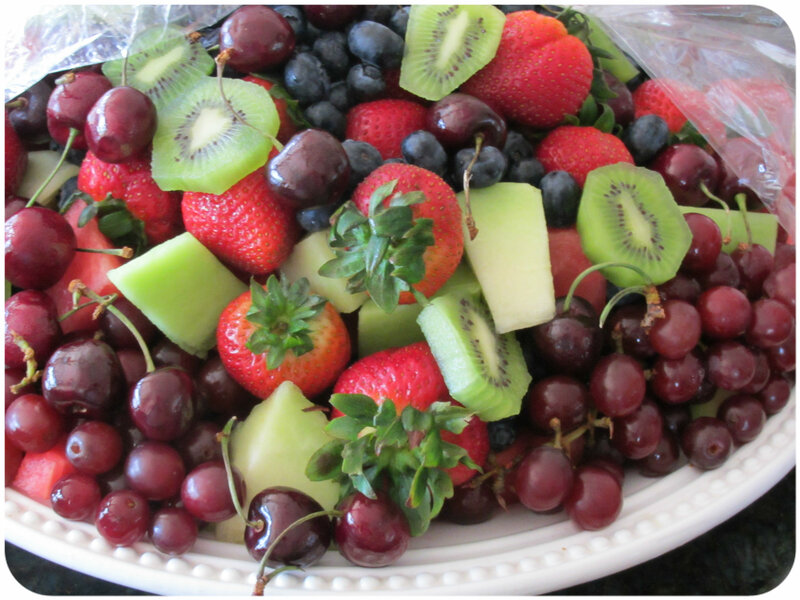 After finishing up some errands this morning I was running short on time to prepare a salad for our party. 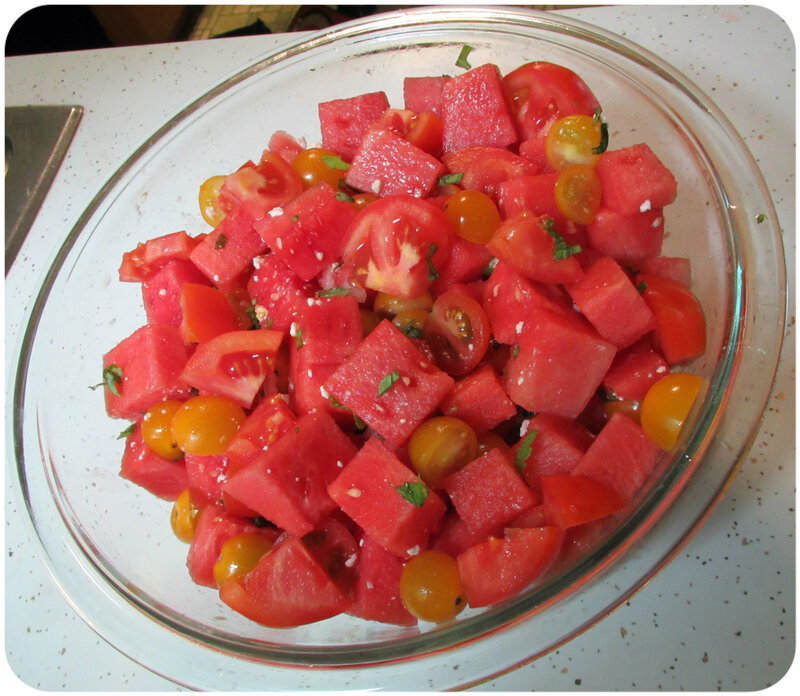 I thought about making a simple fruit salad but I’m happy instead I tried out this watermelon tomato summer salad. 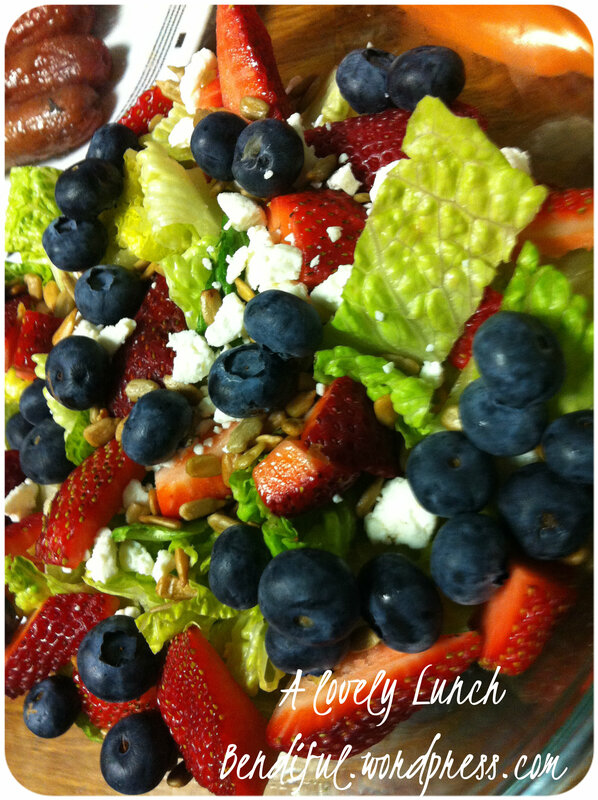 Pinterest my guilty pleasure is full of amazing looking summer salad ideas. As I browsed through I cam across this really pretty looking salad made with yellow grape tomatoes. Do you follow me on pinterest? You can by clicking here. I like to base my food ideas on prettiness. I’m sure that’s some sort of vanity but no matter how delicious something tastes I want it to look pleasing first. Sorry stews while you may taste amazing, you’re not much to look at. This recipe meets both my criteria for an awesome summer salad. It’s pretty and it tastes great. 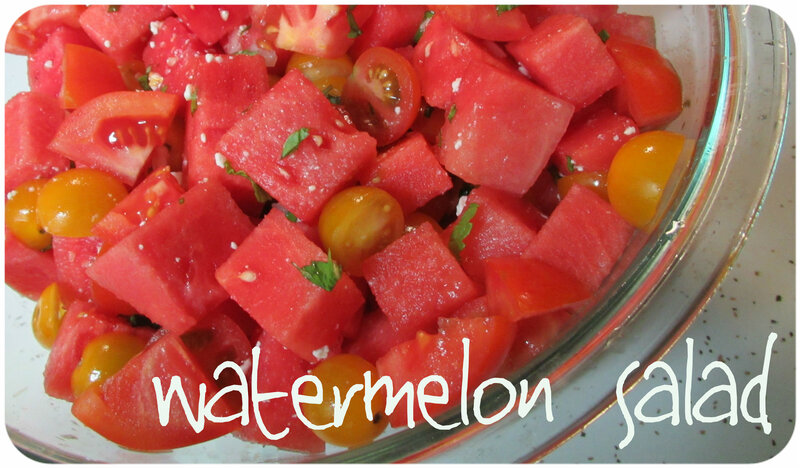 – In a large bowl mix watermelon, onions & tomatoes. – In a second small bowl whisk oil and herbs. 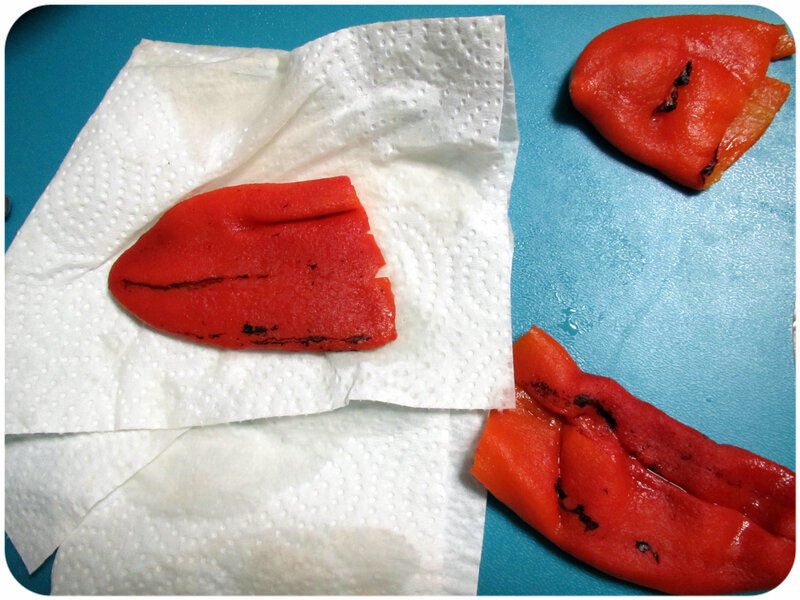 – Add the oil mixture to the Watermelon mix. – Stir in Feta Cheese. 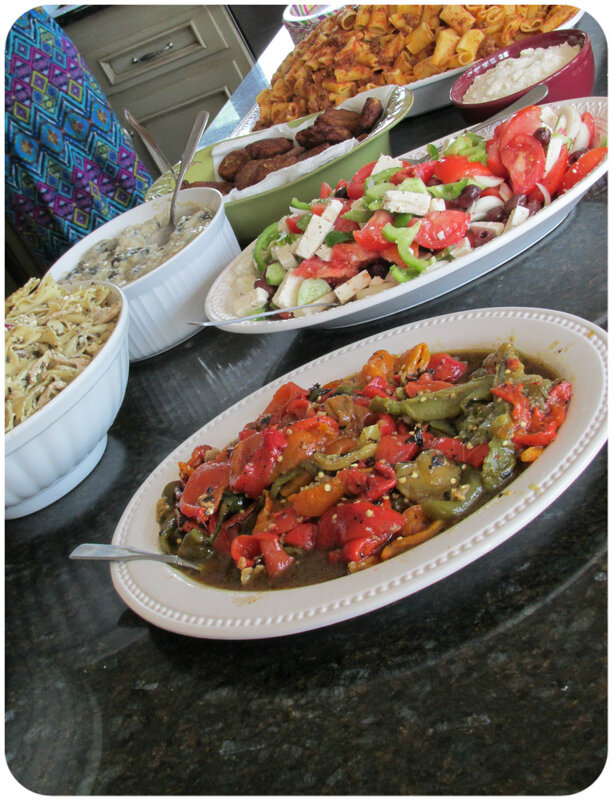 A friend of the family is from Greece and she made all of this AMAZING Greek food for the celebration. 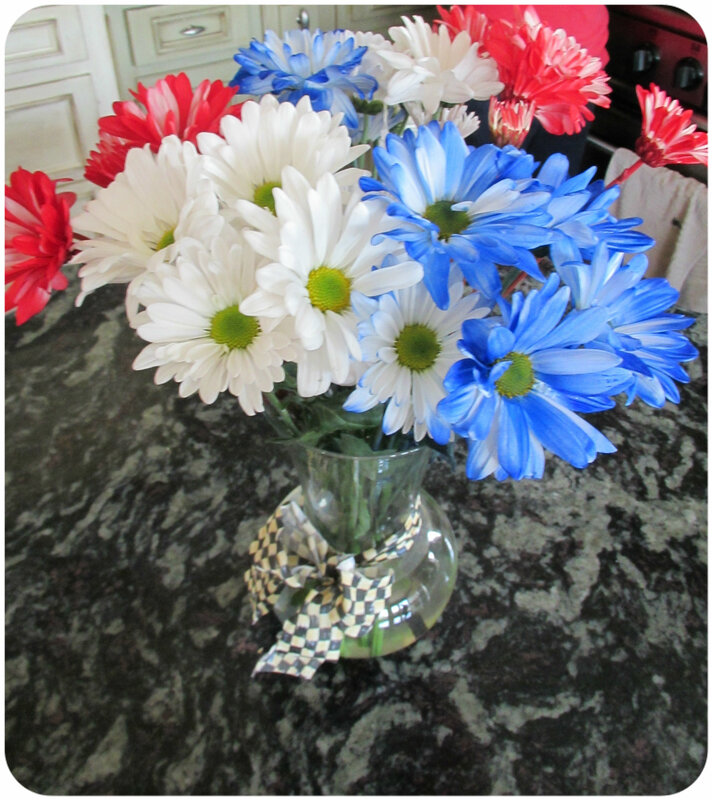 I’m used to hot dogs and hamburgers for the 4th, I didn’t even miss them today. 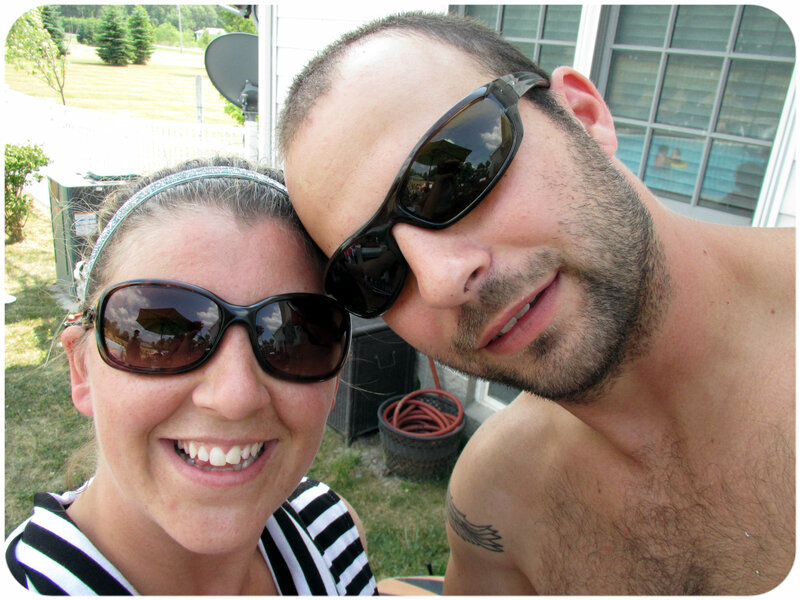 My husband and I enjoying the day. 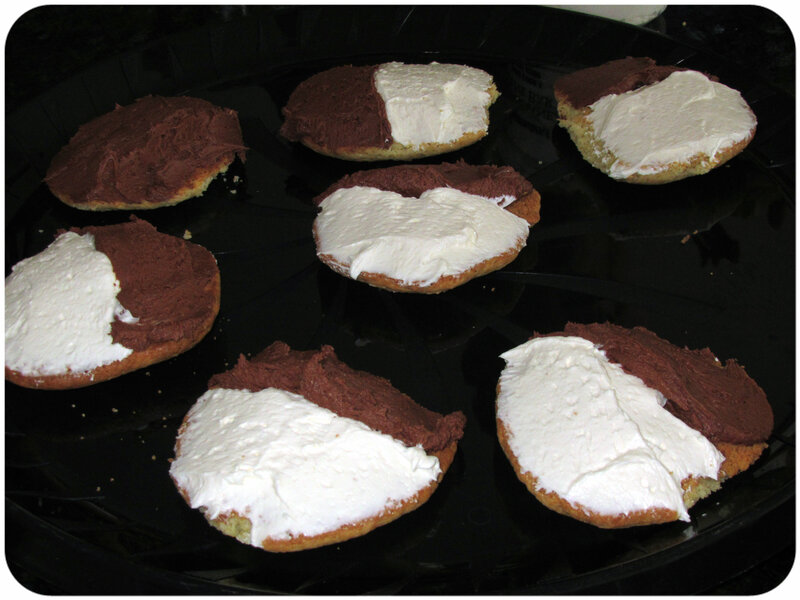 And last but not least half moon cookies! This morning I woke up and did about 20 minutes of weights, squats and lunges. 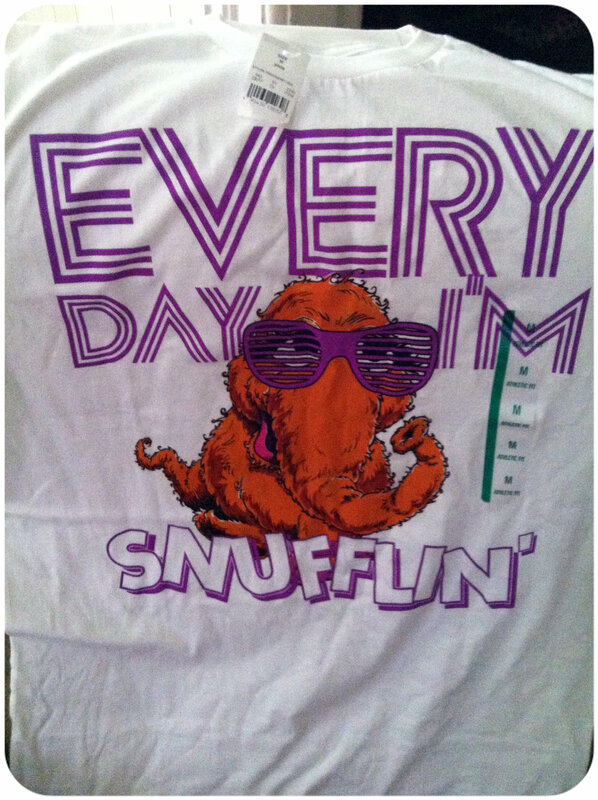 I also broke out this puppy I got in the mail from my Bestie Amanda! Now where to wear it? 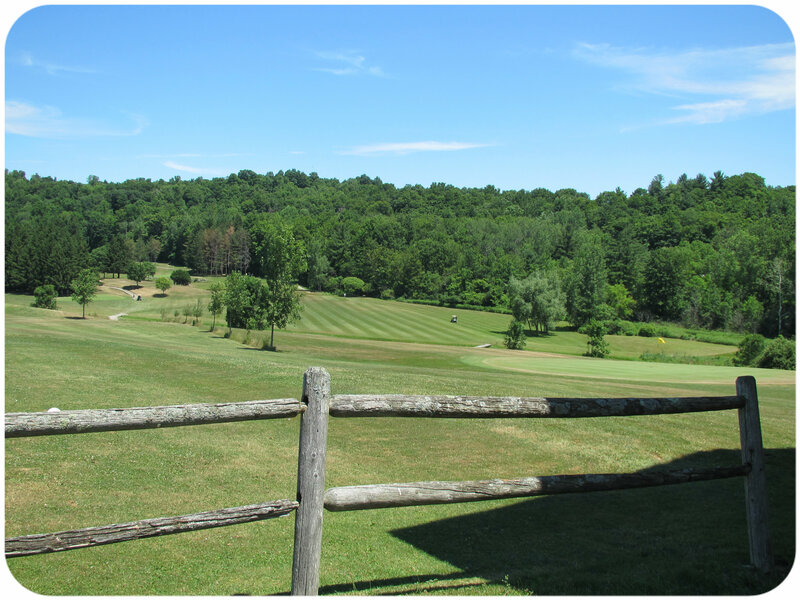 Yesterday was no exception to the heat wave we have been having. 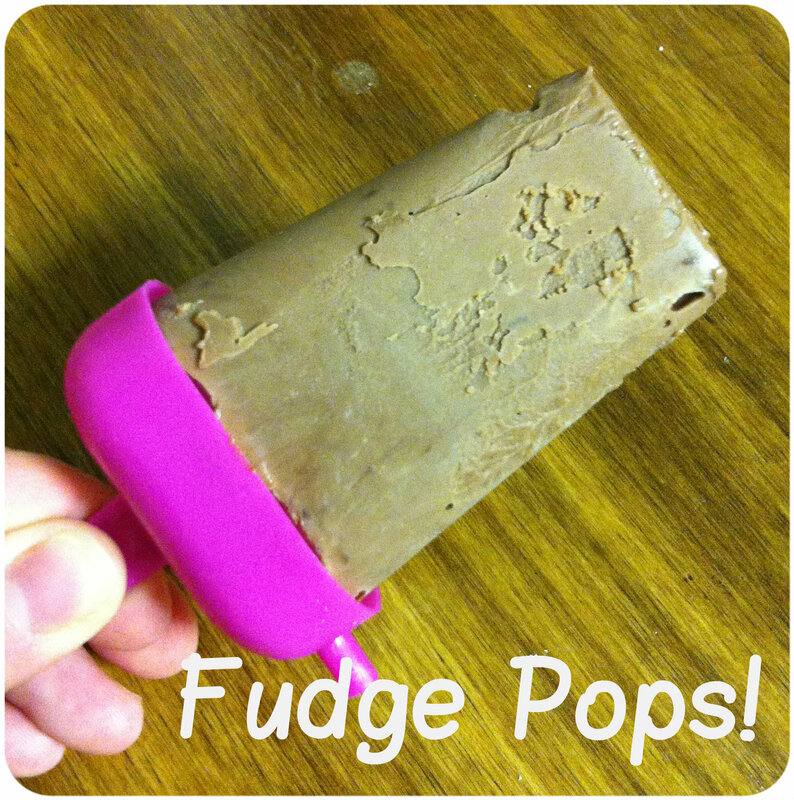 There is nothing better on a hot day and a sweet frozen treat! Now I’m off to Spin Class! This day is one on the run! It’s just 2PM and I’ve already gotten in a few great hours of work, weeded and watered my garden, ran a few miles, taken my son ice skating, finished lunch and naps. I may have even snuck in a few loads of laundry in this mix! CRAZY! My friend Brigitte used to eat these religiously for breakfast. I always thought they looked yummy but I was much happier with my insta-cup of oatmeal. BOY was I wrong! 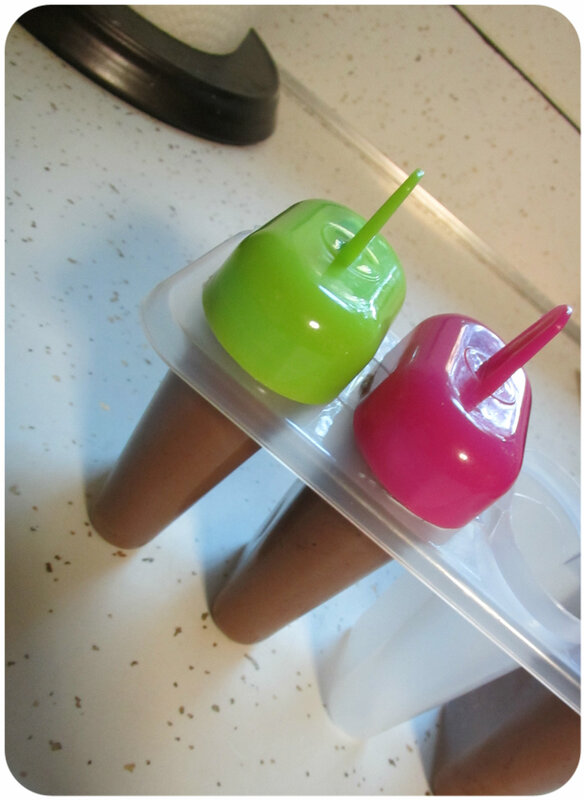 Simple to make and the perfect mix of protein and sweet, I can’t get enough. 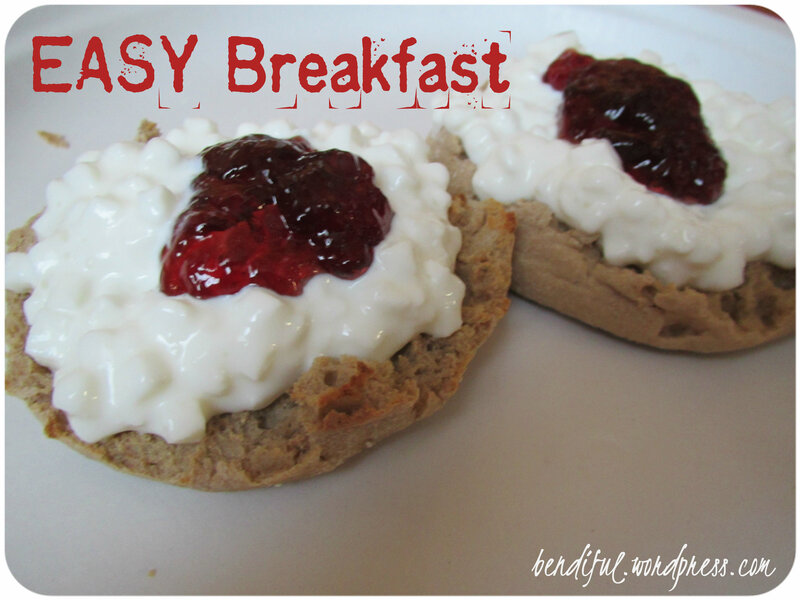 For a family on the run these are fast and filling…the perfect fast food! Now for some much-needed and deserved pool time! What are you all up to on this beautiful Monday? What’s your favorite fast healthy food lunch? I can NOT believe it’s July already! Only 6 months left of 2012….what are your plans? 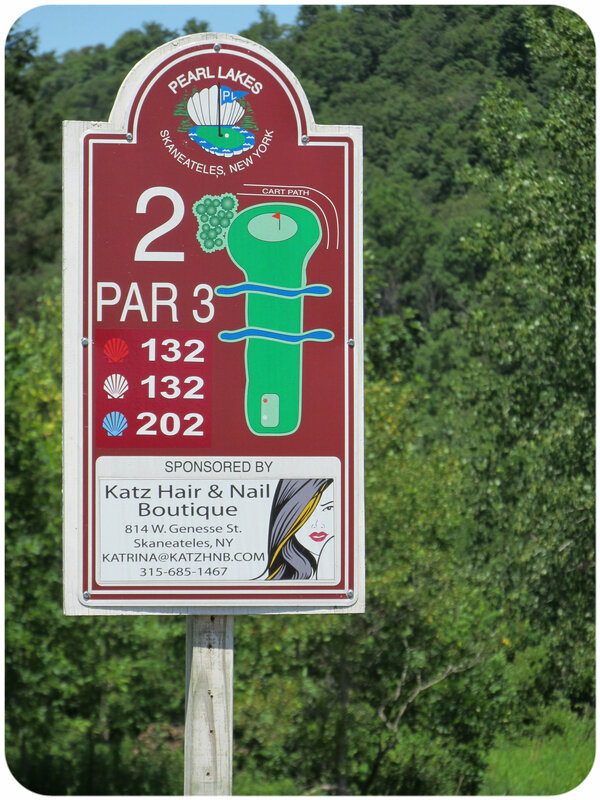 To celebrate the first day of July, it was only fitting to get in 9 holes! 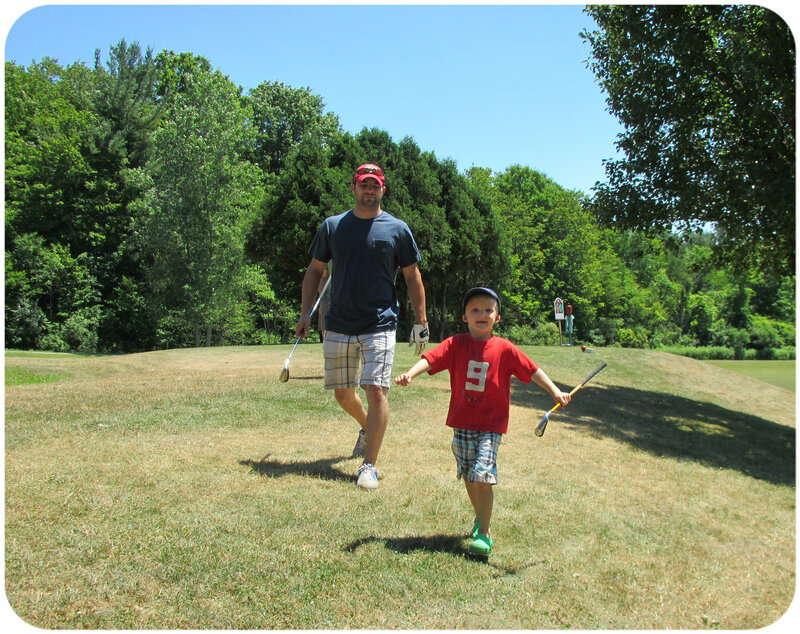 It was my oldest sons first time on the course…. 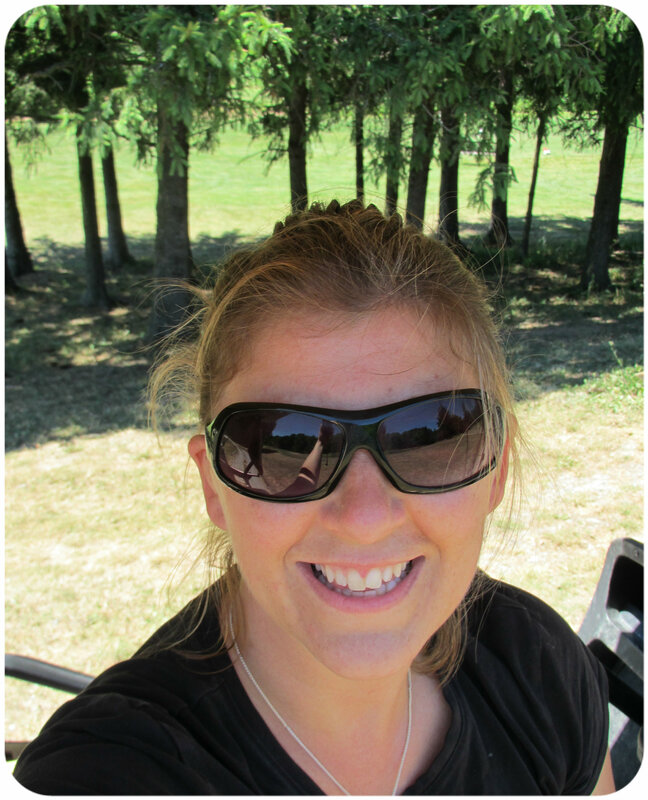 I enjoyed the sun and a not terrible day of golf! 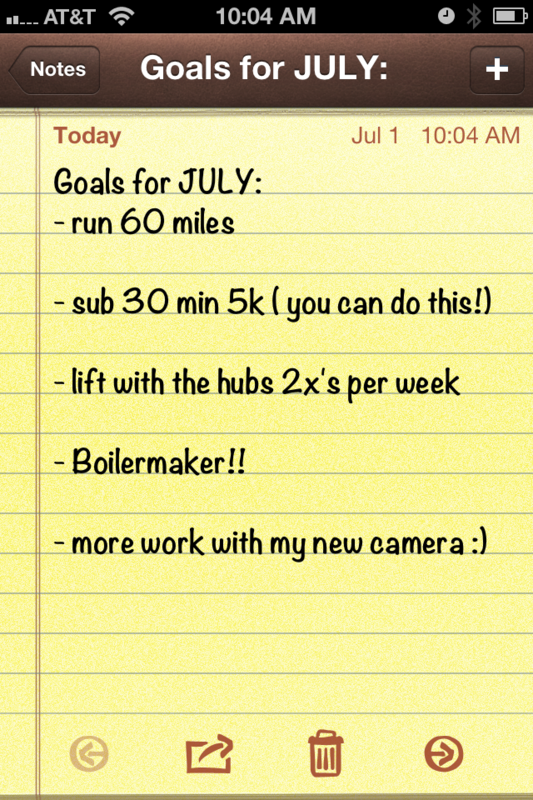 Can you tell I’ve already been hard at work on the last goal? 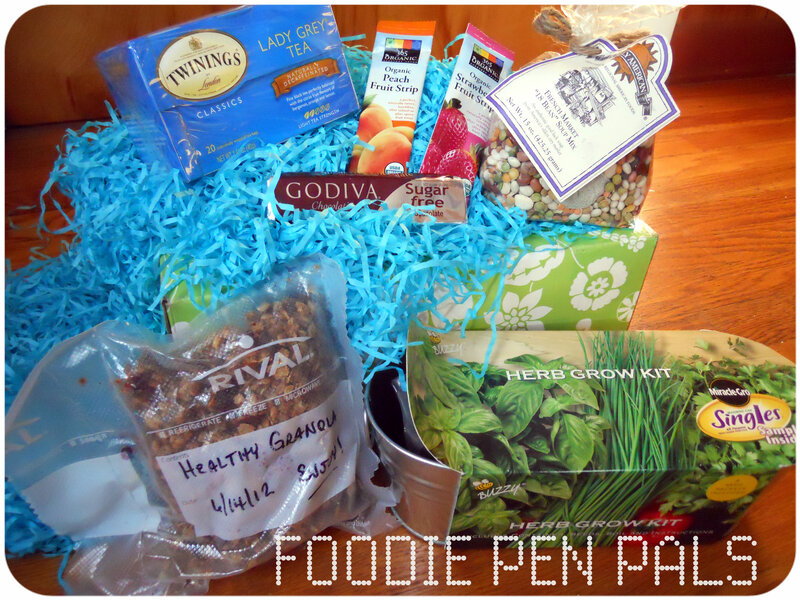 This is my second month with the Foodie Pen Pal Program and it just keeps getting better! This month I was sent some wonderful goodies from the great state of South Carolina courtesy of Susan! Can you see that green and white box it all came in? How Cute! I must find some like this to send out. Since I have no food allergies or preferences my food goals are simply to make better choices in my quest to lose some weight before my Brother-in-Laws wedding in October. 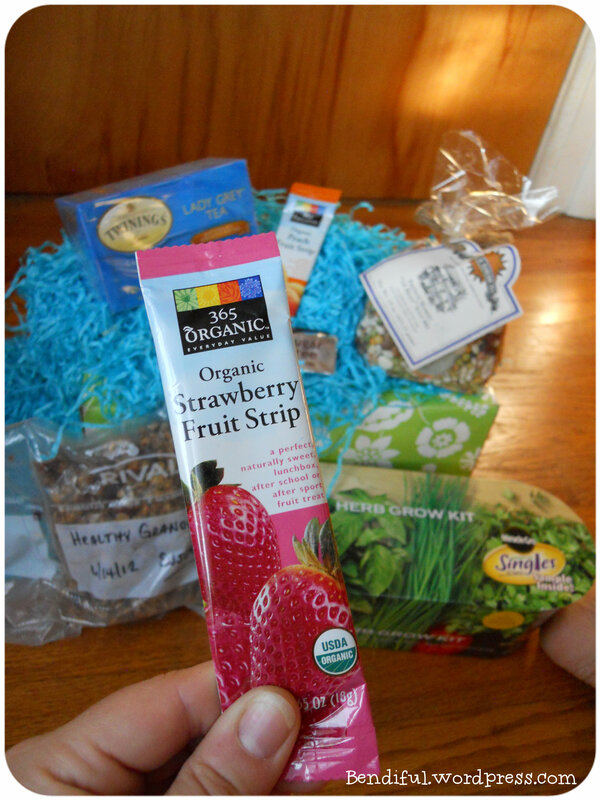 And this box of amazing yummies was perfect a great combination of sweet yet good for you options! 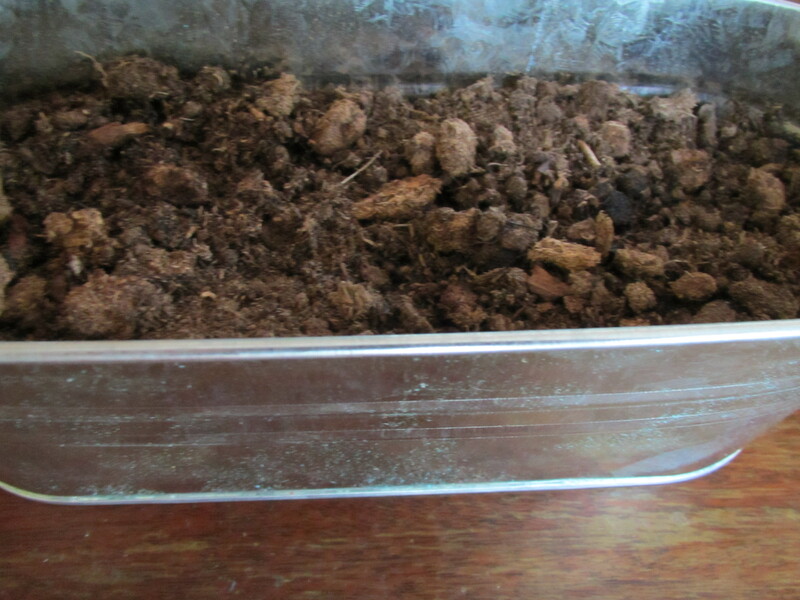 I planted my herb garden as soon as it arrived in the hopes I would have some plants to show you for the reveal….. sadly they haven’t sprouted yet! This month’s choices were amazing. 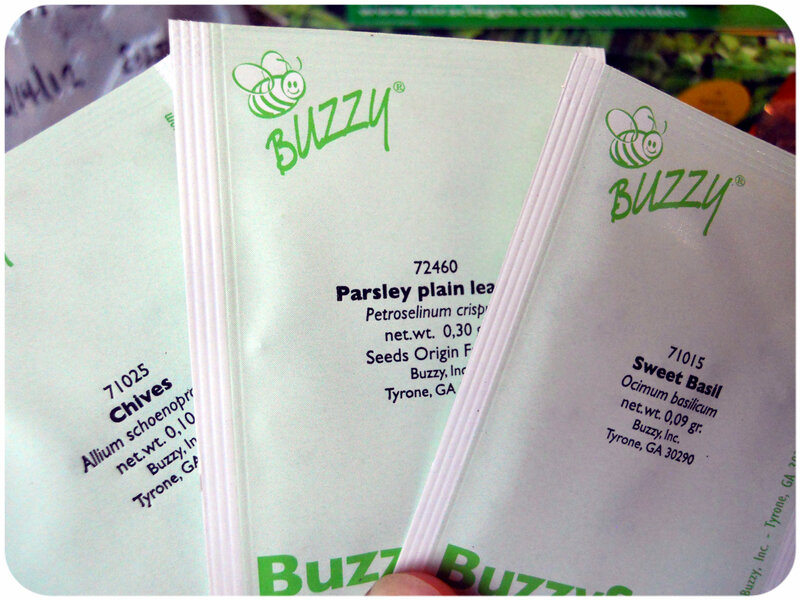 I love tea that is no secret on this blog and this Lady Grey hit the spot. I’ve been on a big Tea Forte kick lately. 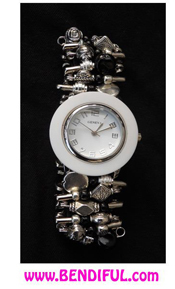 But this “Lady” knocked it right out of the rotation! There is nothing better than a relaxing cup of tea in the evening. The Godiva Sugar Free Chocolate bar had a very short shelf life and was eaten as a 3pm snack on the day it arrived! 🙂 I can’t say no to chocolate, especially when it just shows up at my door! 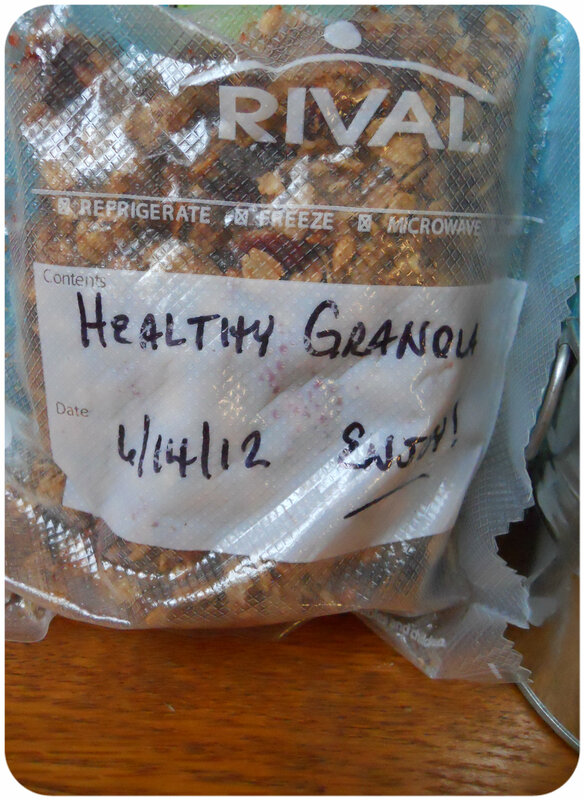 This GRANOLA is OUT OF THIS WORLD and Organic! I think I’ve eaten it for every meal type this week. Breakfast, lunch and dinner. I can’t wait to try to make some myself. I’ve never cooked with oat flour before and this recipe calls for it. Any excuse to branch out of my cooking rut I will take! It’s been on the average of 75 degrees per day out here so I haven’t been in the mood for soup. 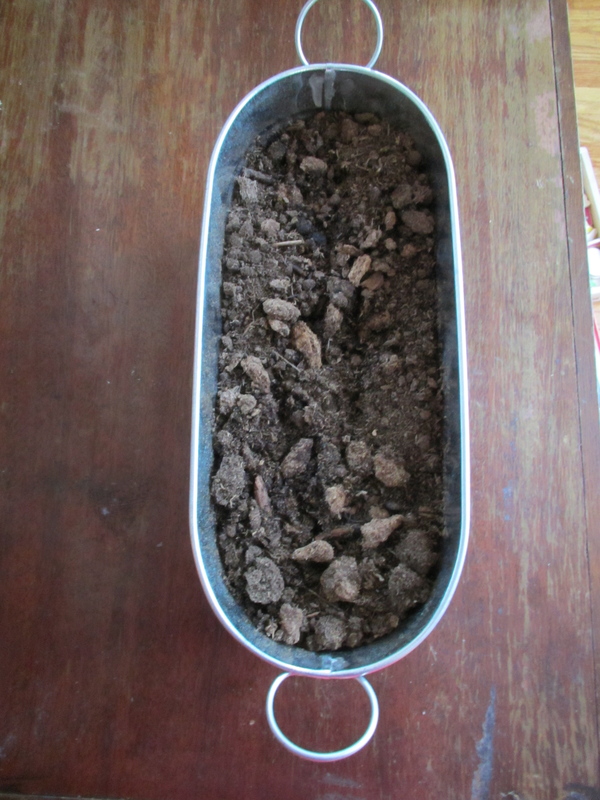 But the 18 bean soup mix that was included looks yummy so for a cool day. The soup is from a grocery store near Susan called “The French Market” I’m a big fan of local products. 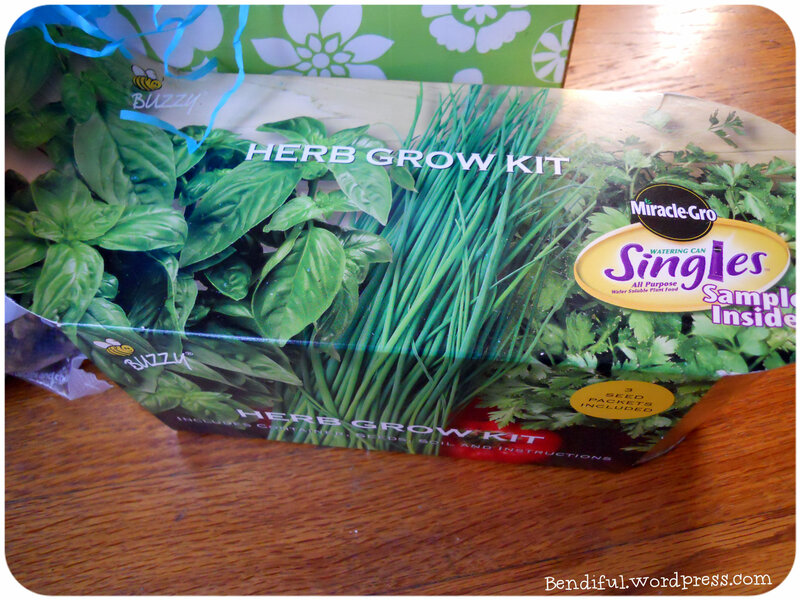 I can’t wait to whip it up! Thank you so much Susan for the amazing products! 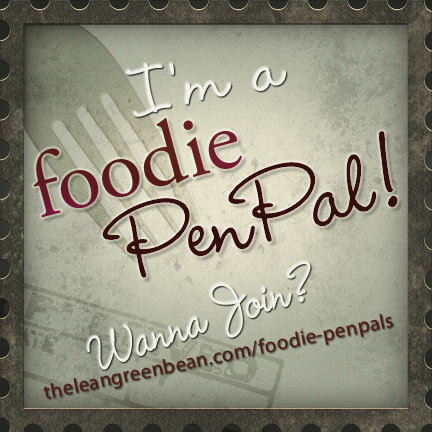 Are you interested in learning more about Foodie Pen Pals? Is it to early to be talking lunch? I have had a salad for lunch everyday this week and while that’s a wonderful healthy choice, spinach and lettuce does not even sound appetizing to me today. I decided to branch out. 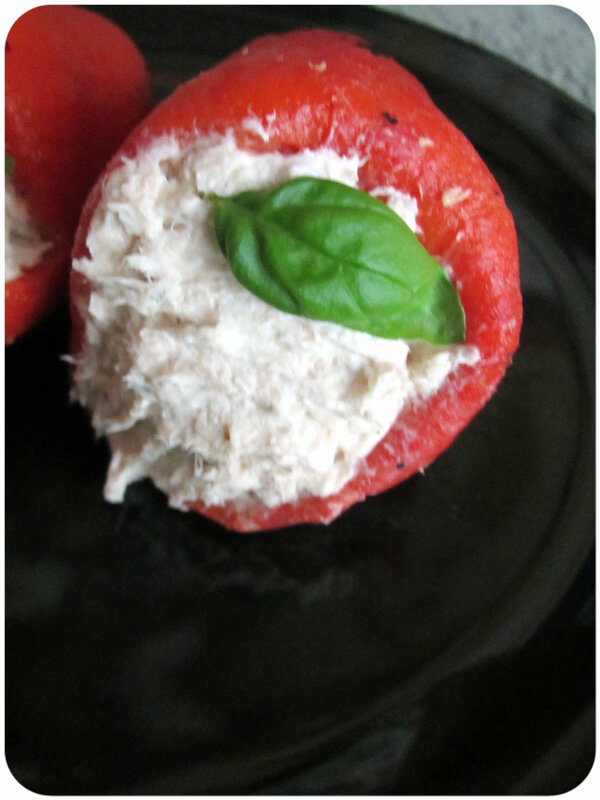 Tuna fish is always a staple in our kitchen, my husband would live on tuna noodle casseroles and our kids gladly eat it. If I can get past those two jury’s I’m set for life! 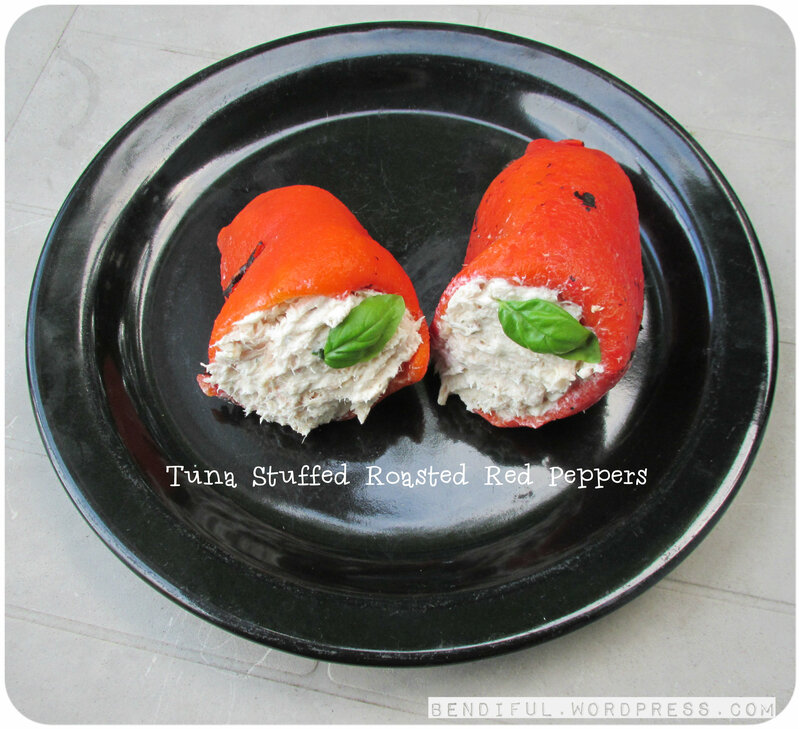 3-4 Roasted Red Peppers, you can roasted them yourself in the over or buy in the jar. 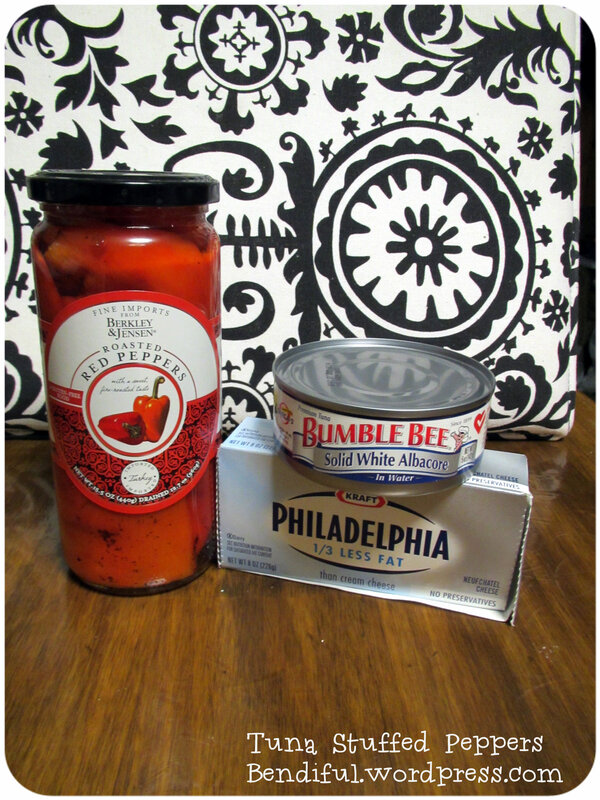 4 Oz Reduced Fat Cream Cheese, or cottage cheese if you prefer. Completely flake one can of Tuna Fish. 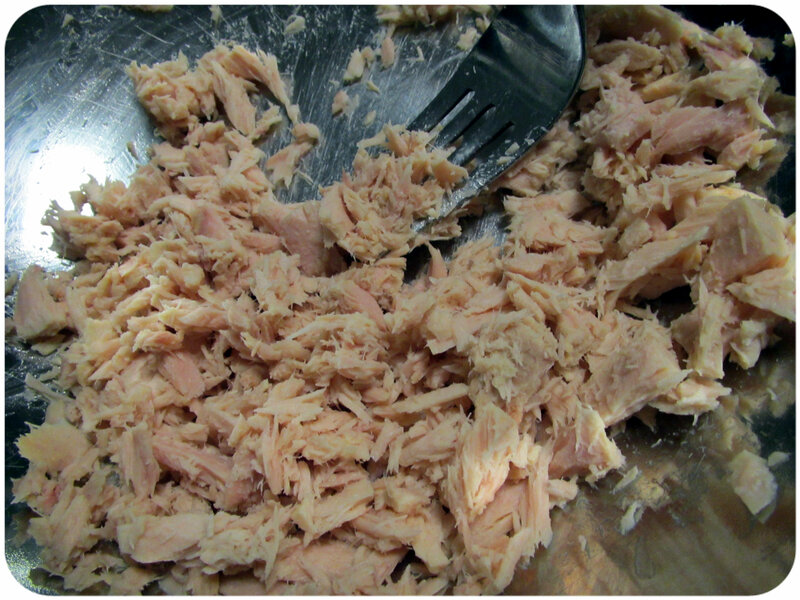 Add to the tuna fish 4 oz. 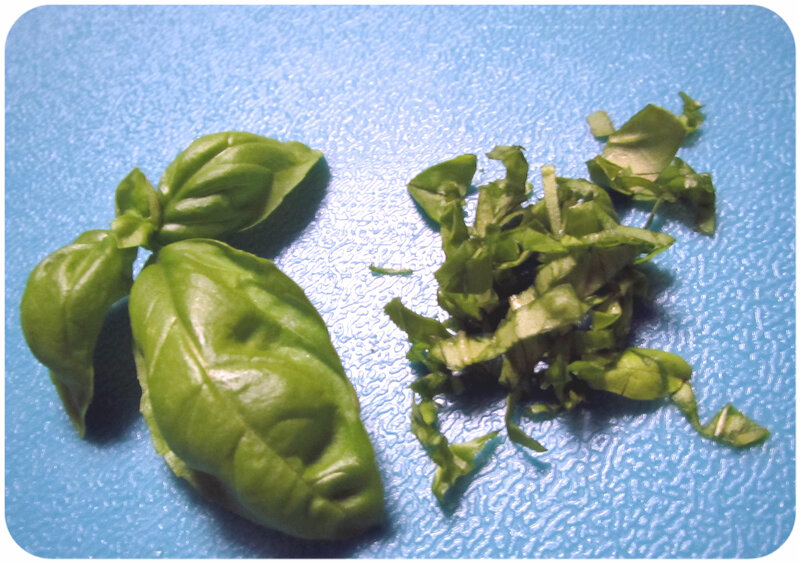 of Cream Cheese, Basil, Parsley and salt & pepper to taste. 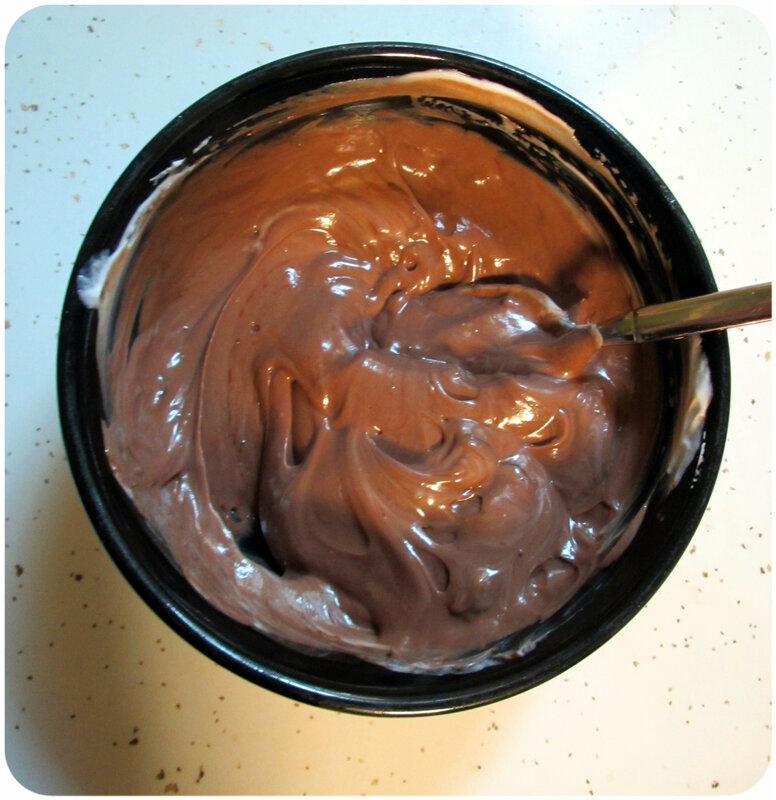 The mixture will be paste like. Divide mixture into 3-4 selections. 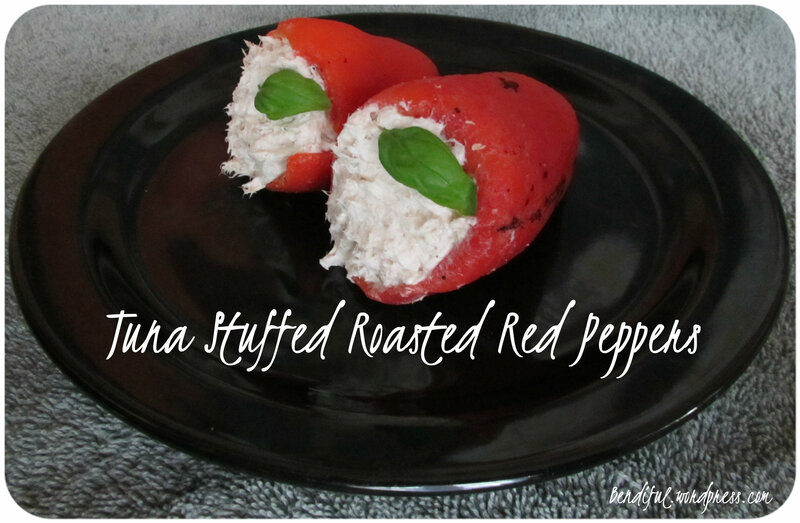 Stuff each pepper with mixture and enjoy! 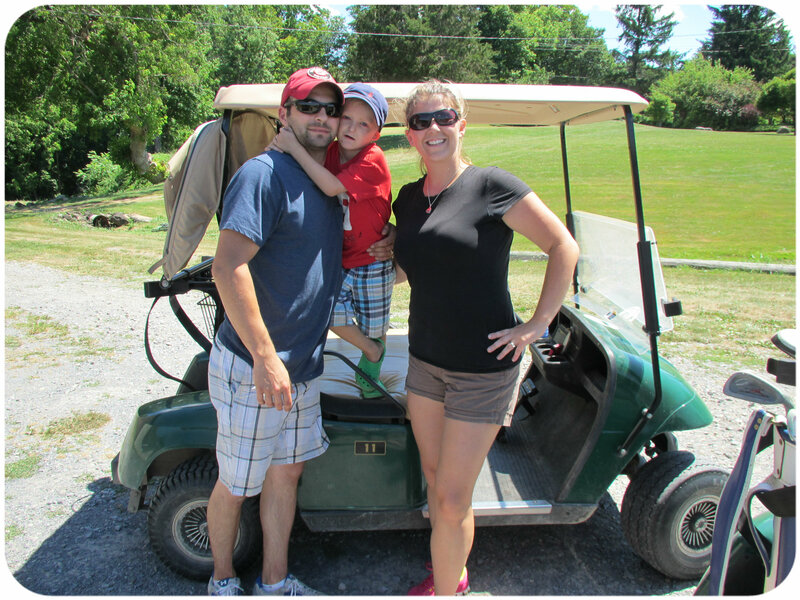 I became a little hometown famous this week as my son and I were featured in a local newspaper for being Locavores! What’s a Locavore you ask? 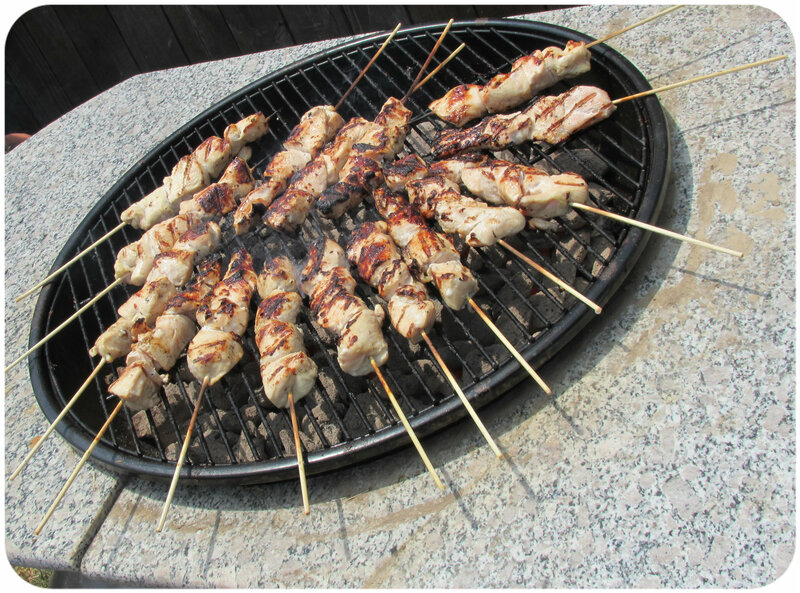 It is a person or persons who enjoy and prefer to eat local foods. You can read the whole article here. 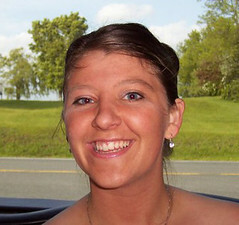 Don’t judge by the photo I can honestly say I’ve never been photoshopped to add makeup! Yesh! I'm Reneé a 30 year old married mother of two blogging about life, parenting and healthy-living. Hoping to share with you a little inspiration and creativity along the way. Live your life on purpose.